More and more these days, marketers are misleading women to believe that dry toilet paper just isn’t doing the job. They claim that women will feel better, fresher (and sexier) by using pre-moistened wipes. Through claims of “freshness,” “confident clean” and yes, even “odor control,” wipes are being advertised as the better option for the health and happiness of women. But the truth is, wipes may be doing you (and the planet) more harm than good. 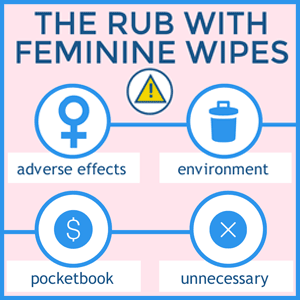 Many feminine wipes contain chemicals of concern linked to cancer, hormone disruption and fertility problems (see list of chemicals in wipes below). The long term health risks of exposure to these chemicals from using wipes have never been studied and are largely unknown but concerning. In 2015, Women’s Voices for the Earth researched women’s experiences using feminine wipes. 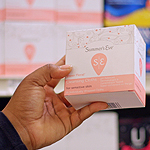 We compiled over 150 examples of online product reviews from 11 different brands of feminine wipes, which detailed associated adverse health effects. Specifically, complaints of itching, burning, irritation, allergic reactions and bleeding rashes were commonly reported. In addition, there were several reports of associated urinary tract infections. 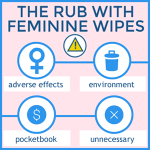 Several women noted that they used wipes in order to alleviate symptoms, but found that the wipes merely exacerbated the problems they were experiencing. Women of color are disproportionately impacted by toxic chemicals in feminine wipes, as they’re more frequent users of these products. Wipes are disposable products that do not degrade well. 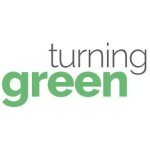 Numerous reports have demonstrated that the use of wipes is wreaking havoc by clogging sewer systems and septic tanks . An ever-growing number of wipes are also washing up on beaches. The Marine Conservation Society in the UK found an astonishing 50% increase in wipes found on beaches between 2013 and 2014 . 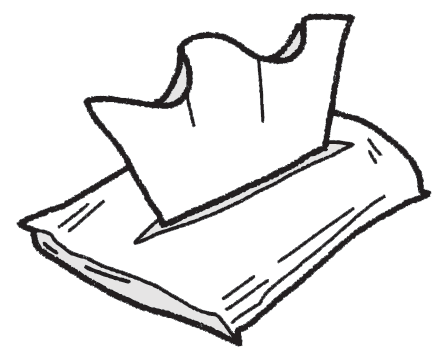 Environmental impacts also include the additional solid waste from both the wipes and their excessive packaging. Wipes are expensive! Costs vary from six cents per wipe to as much as forty cents per wipe (especially for individually wrapped “on-the-go” packages). This compares to mere fractions of a cent for toilet paper use. Wipes are marketed to women in a manner that suggests they are not clean, or there is something wrong with their bodies. Remember, you are ok just the way you are. The bottom line is that, despite what marketers are trying to sell you, wipes are not necessary for everyday cleansing for most women. 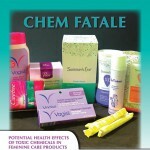 The chemicals they contain may, in fact, have adverse effects on your health. While there may be certain situations, and/or medical conditions where wet wiping can be advantageous or preferred, pre-moistened wipes do not have to be the solution, given their many drawbacks. Women must demand accountability and transparency of product ingredients and challenge the marketing practices that prey upon them for unnecessary items. “Fragrance” represents an unknown bouquet of unnecessary but potentially toxic chemicals. Fragrances are well known to cause allergic skin reactions – and can also include hormone disrupting chemicals, cancer-causing agents, and harsh irritants. Unfortunately, most fragrance ingredients are kept secret from consumers, so toxic components are difficult to identify from reading product labels. Results of a chemical analysis of twenty brands of wet wipes published in 2015 revealed that 95% of wipes tested contained fragrance allergens, 90% contained phthalates (including DEP, DBP and DEHP), and 55% contained synthetic musks . Preservatives are mandatory for pre-moistened wipes in order to prevent the growth of bacteria and mold. (In contrast, toilet paper is dry, so it does not need chemical additives to prevent bacteria growth.) Unfortunately, many people are sensitized to preservatives and get allergic skin reactions in response. Certain preservatives are formaldehyde releasers, and formaldehyde exposure has been linked to cancer. Other preservatives, like parabens, are potential endocrine disruptors which may play a role in breast cancer and fertility issues. MI and CMI in particular have been called out in numerous dermatology journals; severe allergies to these chemicals from the use of pre-moistened wipes have been well documented . Due to numerous reports of adverse reactions in recent years, several companies have reformulated their wipes to replace MI and CMI with alternative preservatives. 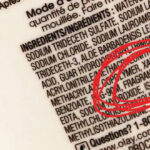 However, watch out, because there are still wipes containing these chemicals on the market. IPBC is a well-known skin allergen. Its use has been severely restricted by regulations in the European Union. These regulations have led to numerous recalls of wet wipes in Europe due to the presence of IPBC in the product . There are currently no restrictions on IPBC used in wipes in the United States. Parabens are of concern because they have been shown to have estrogenic properties . Parabens have been detected in breast cancer tissue, with concern that their presence may be connected to the disease . Higher levels of parabens in a woman’s urine have also been associated with ovarian aging, which leads to reduced fertility . Parabens are also allergens, commonly causing reactions in patients with dermatitis . A 2015 chemical analysis of wet wipes found 55% of wipes tested contained some form of paraben, predominantly methylparaben . DMDM hydantoin and 2-bromo-2-nitropropane-1,3-diol are formaldehyde-releasing preservatives. The formaldehyde released by these chemicals does an effective job of killing bacteria, but can cause allergic reactions for those who are sensitized to formaldehyde. Formaldehyde is also a human carcinogen. 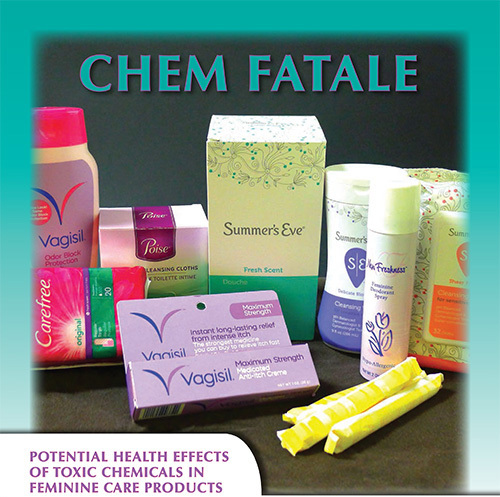 The potential cancer-causing impact of formaldehyde exposure to vaginal and vulvar tissue is virtually unstudied, but certainly of concern. Octoxynol-9 is a potent contraceptive drug that effectively kills sperm. However, wipes containing octoxynol-9 are not considered contraceptives, nor are they required to have any caution labeling to their potential effect on a woman’s fertility. Use of octoxynol-9 in spermicides has been associated with genital irritation and increased vaginal discharge . Octoxynol-9 has also been linked to reproductive harm in laboratory studies, but further research is needed to confirm these findings. Neutresse™ is a trademarked name for an odor-controlling ingredient found in wipes. The chemical structure of Neutresse is not disclosed. The potential hazards of this mystery ingredient are simply unknown. Good old fashioned toilet paper can do the trick just fine in most situations. Moisten toilet paper with water immediately before use. This is easier to do in a home or private bathroom with easy access to the sink. Fill small portable spray bottles with water for your purse or your bathroom. Spray toilet paper, or yourself before wiping to aid with cleaning. To prevent any growth of bacteria, refresh the water in the spray bottle regularly. Make your own cloth wipes and wet them with water. Flannel or other soft fabric can be less abrasive than toilet paper for those with especially sensitive skin. For those circumstances where you may want to use a wipe, there are safer options on the market from companies conscious of keeping chemicals of concern out of their products. Read labels and look for wipes free of fragrance and parabens, and avoid wipes that contain the problematic preservatives listed in this fact sheet. If you are concerned about odor, remember that a certain amount of vaginal odor is normal. If the odor has distinctly changed, or is strong and noticeable, an infection or other medical condition could be the cause. Talk with your doctor about this concern. 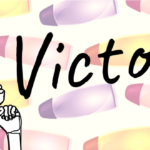 Vaginal deodorants, douches, sprays and wipes are not recommended and could make things worse. TAKE ACTION — Summer’s Deceive: Tell Summer’s Eve that hidden toxics and body-shaming are not OK! Celeiro M, Pablo Lamas J, Garcia-Jares C, and Llompart M. (2015) Pressurized liquid extraction-gas chromatography-mass spectrometry analysis of fragrance allergens, musks, phthalates and preservatives in baby wipes. Journal of Chromatography A. Vol. 1384, pp: 9-21. Garcia-Gavin, J, Goossens, A. (2010) Moist toilet paper: Allergy to the nonhalogenated derivative methylisothiazolinone preservative alone. Archives of Dermatology. Vol. 146, No. 10, pp: 1186. October 2010. Calafat, AM, Ye, X, Wong, LY, Bishop, AM and Needham, LL. (2010) Urinary concentrations of four parabens in the US population: NHANES 2005-2006. Environmental Health Perspectives. 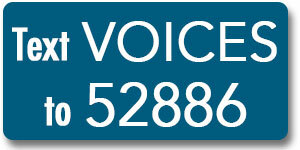 Vol.118, No.5, pp: 679-685. May 2010. Smith, KW, Souter, I, Ehrlich,S, Williams, PL, Calafat, AM and Hauser, R. (2013) Urinary paraben concentrations and ovarian aging among women from a fertility center. Environmental Health Perspectives. (Epub ahead of print) August 2, 2013. Bauer, A, Geier, J and Elsner, P. (2000) Allergic Contact Dermatitis in Patients with Anogenital Complaints. The Journalof Reproductive Medicine. Vol. 45, No.8, pp:649-654. August 2000. Black C, Houghton VP. (1983) An user acceptability study of vaginal spermicides in combination with barrier methods or an IUCD. Contraception. Vol.28, No.2, pp:103-110. August 1983.